I’m excited to announce the release of Tales of Feyland and Faerie! This collection (around 260 pages) includes eight tales of Faerie magic and adventure, spanning the centuries from Ancient Ireland to a near-distant future. You’ll find old favorites, plus a brand-new, never-before released tale, Breaking the Brownie Code. 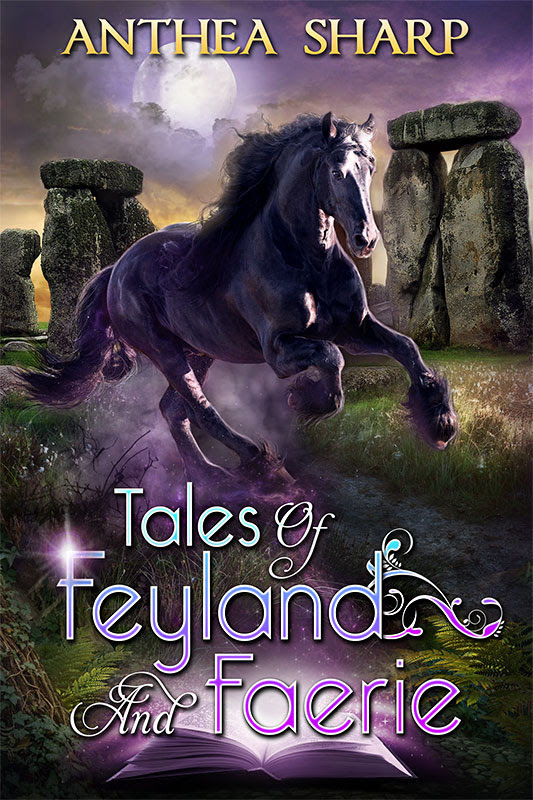 There’s also a Feyland snippet – Brea’s Tale: Arrival – that’s also a fairly recent story. Can music overcome fey magic? When the chieftain’s infant son is stolen away by the fey folk of the Bright Court, Maeve Donnelly journeys beneath the faerie hill to save the child. Her only weapon is a simple pennywhistle, and the music running in her bard-gifted blood. A new, exclusive story! Feeyah MacGuire is not very good at being a Brownie—but when she breaks the sacred code of their kind she faces banishment… or worse. Jeremy Cahill’s gifted cello playing calls the creatures of Faerie to him. As a boy, his Irish grandmother crafts him a charm to keep the fair folk at bay—but when it finally fails, Jeremy must face the terrifying power of Faerie…alone. When a mortal boy is exchanged for a hideous faerie creature, Marny Fanalua steps up to help her friends in their battle against the Dark Court. *NOTE * The events in this novella occur simultaneously with Feyland: The Twilight Kingdom. Reading the complete Feyland Trilogy first is recommended if you would like to avoid spoilers. When a faerie girl is sent on a mission to the mortal world, she must learn to navigate the intricacies of life among humans – but will she survive undetected? *NOTE* This story falls in between Spark and Royal in the Feyguard books, but it can be read as a stand-alone without spoiling anything. This entry was posted in Book Bundles, Books, Feyland series news, Sale! and tagged Celtic mythology, coming of age, cyberpunk, faeries, fantasy short story collection, folklore, litRPG, new release. Bookmark the permalink.